YITH WooCommerce Account Funds allows all users to have a virtual wallet for their purchases. Users make a deposit and their sum gets converted in virtual funds that can be used to purchase from your store, avoiding any kind of transaction before purchase. By combining the use of these two plugins, you will be able to credit the commissions due to your users as funds, so that their balance increases. After installing and activating both plugins, the option to pay commissions as funds will be added to the payment management of YITH WooCommerce Affiliates. For further details about YITH WooCommerce Account Funds settings, please refer to the official documentation. YITH Stripe Connect for WooCommerce allows splitting credit card payments made on your store among your business partners immediately and automatically. 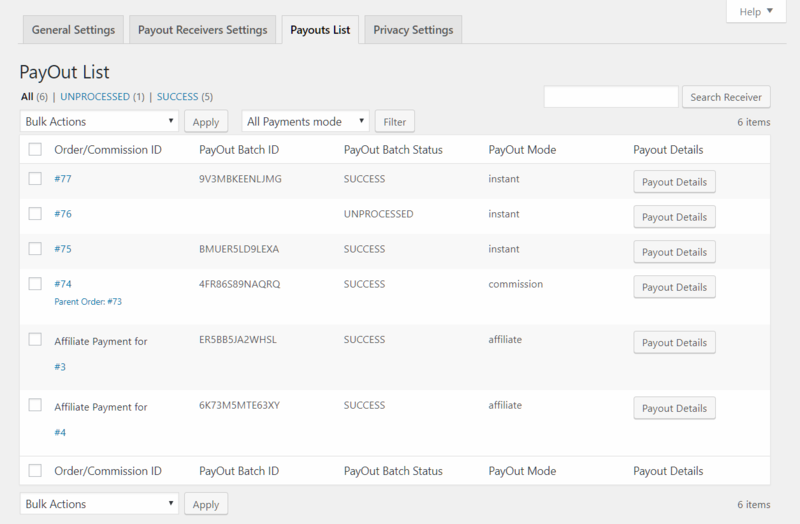 Due to the integration with the Affiliates plugin you are also able to pay the affiliates (automatically) via Stripe Connect. In order to make the two plugins work together, you only have to activate them both. After that, the possibility to use Stripe Connect as a payment method for automatic payments will appear. Within the affiliates page, using the action symbols. In the Affiliates > Settings > Payments. Within affiliates > Commissions > Bulk actions. For more information on how to install the Stripe Connect plugin, take a look a the full documentation here. The integration with YITH WooCommerce Subscription plugin allows the admin to enable commissions for affiliates also on renewal orders. To enable this, make sure both plugins are activated, then, go to YITH Plugins > Affiliates > Settings, you’ll see a new option in the Commissions section called Enable commission handling for renews.